ICVERIFY software enables merchants to accept all major credit and debit cards, as well as many other private or gift cards through a PC or PC-based POS system. 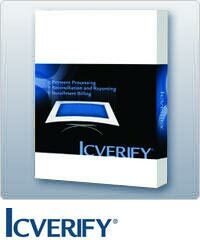 ICVERIFY can do everything a stand-alone credit card terminal can do, plus much more. 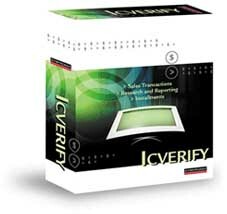 Because ICVERIFY runs directly on the Point-Of-Sale system (PC-based cash register or computer), the keyboard can provide the full capability required for address verification on transactions. For dial-up processor connections: Dedicated telephone line and communications port with Hayes-compatible modem; able to drop down to 1200 baud for card processing and 300 baud for check processing.